These days, more and more home inspectors are employing thermal imaging as a tool to help provide more information during home inspections. Many consumers and real estate agents are wondering what they should expect from a home inspector who brings a thermal imaging camera to the inspection. This article helps clarify any confusion about the use of thermal imaging in inspections. 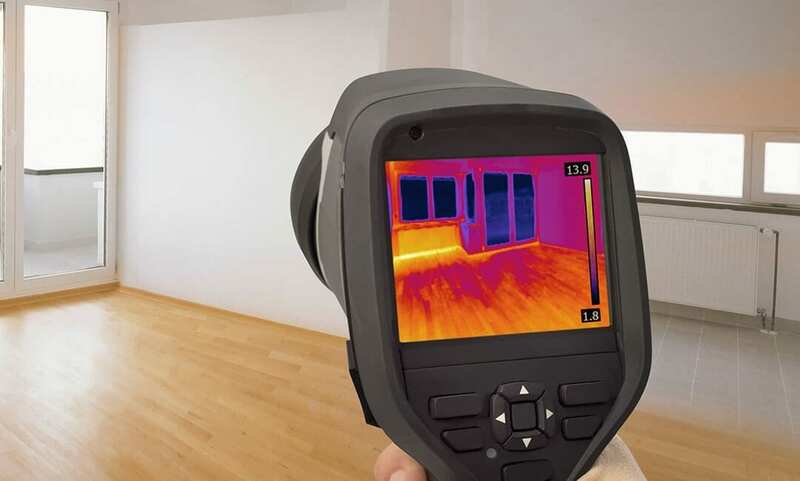 Thermal imaging in inspections helps detect whether a home is energy efficient and may reveal areas of moisture that can’t be seen with the naked eye, which is a significant issue when determining the condition of a building. There could be other issues related to moisture problems that can be uncovered by thermal imaging, such as mold or termite infestations. An infrared thermal imaging scan might show electrical hotspots when images of your electrical panel are taken. Leaks in ductwork and lack of insulation are also among the issues that might be detected. A home inspection that does not include thermal imaging might not catch these and other hidden defects. Why Get a Thermal Imaging Scan? A thermal imaging scan helps your home inspector detect issues with the home that might otherwise be missed. An infrared thermographic camera is a special kind of technology that captures wavelengths of light that are beyond what the normal human eye can see. It does not take an X-ray of your home, but it gets confused with X-ray technology because it catches so much. With thermal imaging, areas of heat discrepancies are shown visually through the camera, making your home inspector aware of any problem areas. This can allow him or her to catch smaller problems before they turn into more serious ones, or to catch major problems that any homeowner would want to know about. Anything that is caught with the infrared camera will be verified using other tools. Thermal Imaging in inspections can be particularly useful when preparing to winterize your home by discovering areas of heat loss that require more insulation or better sealing. Sometimes people get concerned that infrared thermal imaging is emitting radiation into the home. This simply is not the case. There is nothing radioactive about infrared thermography. These cameras are only reading and photographing the radiated heat and the energy that comes from various materials in your home. Ask your home inspector about his or her training and experience with thermal imaging to be certain that he or she is qualified to properly use the equipment and read the results. Home Guard Inspections offers Infrared Thermal Imaging technology with our inspections to provide the most thorough report possible about the property in question. Contact us today to book your inspection.